I wrote an article in August 2014, when Moody’s downgraded Capitec Bank’s credit rating by two notches, a week after the South African Reserve Bank (SARB) placed African Bank under curatorship. It was titled Capitec is not African Bank. Now, almost three and a half years later and after Viceroy’s Capitec report was released yesterday, my view hasn’t changed – I still don’t think that Capitec is in the same situation that African Bank was in in 2014. Note: The African Bank that exists today is a newly constituted business – continued with the franchise and client base of the pre-2014 African Bank that was placed under curatorship. In my August 2014 article I said the Moody’s downgrade was unwarranted and dangerous. ‘Dangerous from a behavioural point of view in that after investors’ African Bank experience, the downgrade could easily trigger a stampede of both equity holders and retail depositors into selling shares and withdrawing deposits. Yesterday Viceroy released a report on Capitec which I think is self-seeking and malicious. Capitec is a predatory lender. The bad debts in Capitec’s loan book are much higher than Capitec’s numbers (R11 billion), with the implication that Capitec will have to make a significant write-off (for some context: Capitec’s net profit for the year ending February 2018 is expected to be around R4.1 billion). Capitec has been charging its clients excessive fees and will face a class action claiming R12.7 billion in refunds. The South African consumer is in financial stress leading to further bad debts for Capitec (and obviously other South African banks). The report may have caused unnecessary concern for Capitec depositors. The South African Reserve Bank (SARB) released a statement indicating that the bank meets all prudential requirements and is in good financial health. Viceroy made no effort to talk to Capitec to test its calculations. Capitec refutes Viceroy’s allegations and calculations. I highly doubt that the allegations contained in the report are true. 1. Capitec is a predatory lender? Capitec started off in 2001, providing short-term loans in the high risk market to clients at very high rates. Over the years the bank has gradually broadened its product range to where short-term lending has become a much smaller percentage of its loan book and profitability. The loans charge high interest rates, which are necessary to make lending in that segment sustainable. Generally these loans are used for home improvements, education and often to fund working capital for small businesses. True, many of the loans are used recklessly. And yes, interest rates are high so often clients become caught in a debt trap. However, the industry is heavily regulated with many rules protecting clients. Given the size of the bank, I would think that if there were gross or persistent irregularities they would’ve been picked up by the regulators by now. Although advertising plays an important role in driving consumer behaviour, prospective clients choose to go to Capitec for loans and the percentage of loan applications turned down is very high. The rate at which Capitec keeps growing proves the demand for these loans – which doesn’t sound predatory to me. 2. Bad debts are understated and Capitec will have to make significant write-offs? I don’t think this is true. Capitec has since inception been very prudent in making adequate bad debt provisions as soon as a client misses a payment. The bank’s non-performing loans (NPLs) as a percentage of total loans has grown to 7.8%, and its reserves to 17.0% of its loan book. Especially the reserve percentage is high, both in historic terms and compared to international peers, reflecting the current economic situation in South Africa. An extra R11 billion in non-performing loans would mean that 33% of Capitec’s clients are in distress and cannot repay their loans or the loans are being kept alive by continuous rescheduling or relending. In addition, because Capitec has been prudent in writing off loans that are three months in arrears, their NPL ratio will always be lower than that of peers in its industry. Based on our research of similar banks internationally, an additional R11 billion bad loans would mean Capitec is one of the worst banks in the world. An understatement of this magnitude would imply consistent and systemic fraud and would have been extremely difficult to hide from auditors, the SARB and analysts for so many years. 3. Capitec has charged excessive fees? This is difficult for analysts to prove or disprove. Logic dictates that if so many clients keep switching from other banks to Capitec, it must be delivering a better service and at a lower cost than competitors. Although it’s difficult to compare charges for similar products, clients are generally thorough when looking at the options. Yes, there are unhappy clients that are taking Capitec to court but they represent a very small portion of its clients. 4. The South African consumer is in financial stress? Our economy has effectively stalled and has been shedding jobs. Consumers are indeed under stress (hence the increase in non-performing loans and build-up of reserves) but for this to become problematic the situation would have to deteriorate further via a higher cost of living (weak rand, higher inflation and higher interest rates). Instead, with the election of Cyril Ramaphosa the opposite has happened: The rand has strengthened, which will put downward pressure on the cost of living and should lead to increasing employment. Over the next few years distress levels should fall rather than increase. If Capitec has been misstating their financial statements I would be surprised. It boils down to whether or not we can trust Capitec’s financial statements. Over the years we have seen many instances where managements have deliberately set out to deceive investors (most notably Enron and more recently Steinhoff). 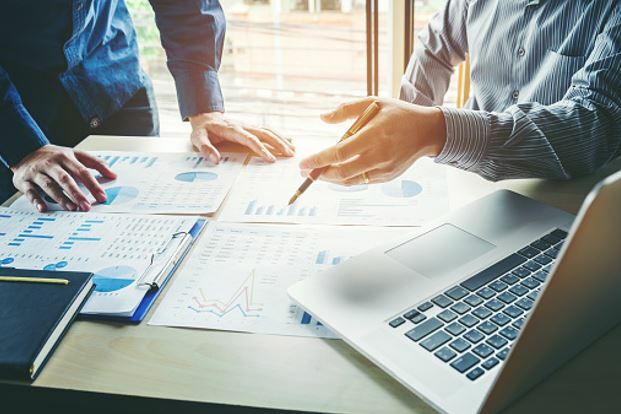 When researching companies, analysts spend a lot of time interviewing managements, analysing financial statements and comparing ratios across both local and global peers. Based on our research, and my experience over many years and in many countries, I would be very surprised if Capitec has been systematically misstating their financial statements. But one never has 100% certainty, which is why it is so important to control risk by limiting the size of individual investments in portfolios. Investors should have bought Capitec shares in August 2014. What about now? When Moody’s downgraded Capitec in August 2014, investors were presented with an ideal opportunity. The share price gain over the years shows that those who didn’t buy Capitec missed a golden buying opportunity. Are we faced with another buying opportunity now? Perhaps not. The Viceroy report was successful in causing a price fall because buyers of Capitec have pushed the share price to excessively expensive levels (see Figure 2). We may not see these levels again anytime soon. Maybe. It is an exceptionally well-managed company with a very good management team and board. It is taking, and continues to take market share from other banks. But, and important to consider, with increased size the future growth potential decreases as has its return on capital (an important driver of bank valuations). In August 2014 the P/NAV was 2.50x. Today it is 5.26x. On this basis investors remain too optimistic about its growth prospects. Capitec is still not the African Bank of 2014. In terms of capital and reserve ratios, profitability and growth prospects – Capitec is still not in the position that African Bank was in and should continue to gradually take market share. Unlike was the case for African bank at the time, the evidence suggests that it will be around in its present format for many years to come.